For today’s edition of Dear Mark, I’m answering two questions. 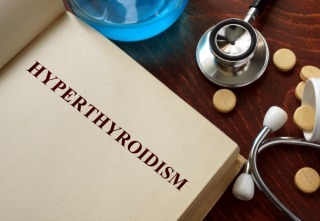 The first is a really good one I’m kicking myself for never having considered before: what to do about hyperthyroidism. As the reader notes, everyone’s always talking about hypothyroidism—lack of thyroid function. What about too much thyroid activity? Then, I discuss what Wim Hof means for the placebo effect. There’s apparently an epidemic of hyperthyroidism among cats because I found tons of hyperthyroid cat studies. Luckily, cat hyperthyroidism is similar enough to human hyperthyroidism that we can make some smart inferences. Reduce iodine: In a recent study, feeding hyperthyroid cats a low-iodine diet reduced thyroid hormones and improved some—but not all—symptoms. Another study had similar results, finding that just 4 weeks on a low-iodine diet were enough to improve fur quality, vomiting, weight loss, and other symptoms. While I wouldn’t necessarily worry about iodine in common foods like eggs or dairy, don’t go out of your way to increase it. Don’t add seaweed to everything, don’t take iodine drops. Get adequate selenium: Pregnant women with hyperthyroidism tend to have lower selenium levels than healthy pregnant women, and patients with Graves’ disease (a type of hyperthyroidism) who took selenium alongside their medication saw better results than those only taking medication. However in a later study whose subjects began with adequate selenium levels, extra selenium had no effect. Reduce BPA and other plasticizers: One of the most consistent associations with cat hyperthyroidism is canned food consumption. Cat food cans are usually lined with BPA or some other plasticizing agent, and these have been shown to disrupt the thyroid. In humans, plastics are associated with lower thyroid levels, while there are different effects in other animals. Either way, it’s likely doing something to your thyroid. I certainly wouldn’t rely on BPA as a thyroid modulator. Give up gluten: You’re probably already doing this, but be strict. Gluten intolerance and celiac often present with Graves’ disease. First, if you haven’t heard of Wim Hof, check out this Vice documentary. It’s 30 minutes or so and completely worth watching. Long story short, stricken with grief and the monumental responsibility of caring for his children after the death of his wife, Wim Hof found refuge and new life in nature—by submerging his body in icy rivers. Since then, he’s set 26 world records. He ran a full marathon in the Namib desert without any water. More importantly, he trained others to do the same things. In 2014, after just a few days of instruction, 12 of his students were able to successfully counter the inflammatory effect of E. coli endotoxin administration. Both the 12 trainees and a control group were injected with 2 ng of endotoxin, a large enough dose to reliably cause headaches, nausea, and other flu-like symptoms. The trainees blocked the inflammatory response by consciously increasing anti-inflammatory cytokines and neutrophils, experiencing fewer symptoms and normalizing cortisol at an accelerated rate. The placebo refers to the body’s ability to tap into the subconscious power within. Whether it’s mimicking a painkiller’s analgesia or reducing the dosage of the active drug, the placebo effect is very real, but you don’t control it consciously. I’ve listened to a few podcasts with the guy, and he’s supposed to be embarking on several new avenues of research, including using his methods to fight mental health issues like depression and PTSD. If there’s anything that “placebo” can help, it’s those conditions. Wow. I’ve never heard of Wim Hof! Mind blown. My skeptical nature tells me that Wim Hof is either a nut or is running some sort of scam. On the other hand, there are people who are capable of all sorts of weird things that most of us wouldn’t even contemplate. It would certainly be a boon to mankind if we could all learn to control the autonomous nervous system and, hence, an out-of-whack inflammatory response. Most illnesses would just fade away. Appreciate the sentiment, but I’ve been practicing Wim’s method for 1.5 years and it’s definitely not a scam. He may be nutty, and he operates totally outside the paradigm of modern thinking, but the benefits are real. I’ve spent a few hours looking at his website and reading the materials and he has under-gone some scientific testing and a few studies have been published. He seems to be able to control his autonomic nervous system and can teach a group of people his methods in a little over a week, and thus, allow them to control theirs as well in a similar way with similar results – lending validity to him not being just a special case. Tons of studying to still do but it doesn’t seem to be any sort of magic – just training. There is a high level of skepticism and there should be. We know very little about what this could mean – it’s not recommended for anybody with autoimmune disease – but it’s fricken sweet and i hope they keep exploring it! I think I saw on one documentary – it could have been the 60 Minutes episode – that he discovered he had a special capacity for holding his breath under water when we was a child, and just always felt comfortable in water. I could be mistaken, but I seem to remember a comment that in fact he has a lung capacity that is larger than the average person. If that’s right, it would follow that even though everyone might have the capacity to learn the techniques, not all of us would end up being able to swim 60 meters under Arctic ice. Which is fine, in my case. Seems to be the opposite of what Wim hof himself is saying as he is promoting it as a way of healing and controlling Autoimmune disease? interested if you could explain why you’ve come to suggest otherwise? If you want to check out Wim Hof he’s also been on the Joe Rogan Experience a few times. He was on episodes 712 and 865. Fascinating character! I don’t Think it accurate to say Wim is using the placebo effect. I May be wrong but don’t recall him using the term. He has harnessed abilities we all have but don’t practice or develop. He is the extreme and fascinating. So are eating cruciferous vegetables not a good plan if you want a healthy thyroid? Broccoli and kale are my family’s go-to vegetables because the kids have taken a liking to them. Do we need to cut back? Hey Andy my understanding (as a layman) is if you cook the cruciferous vegetables it greatly reduces the amount of goitrogens. If you add some sea veggies like dulce or otherwise get more iodine and make sure you are getting enough selenium I’m thinking it should not be a problem (like you broccoli and kale are my two go-to’s and I just starting adding dulce, which is kind of expensive and salty tasting BTW). Of course, the only way to know if you have hypothyroidism other than if you are having symptoms (low energy, dry skin, are cold when others are comfortable) is to have a blood test of your TSH, T3 and T4. Yes, keeping eating the veggies. Just cook them. But that’s on the assumption you have an under active thyroid. HealthyHombre is correct. Only TSH, T3 and T4 testing can determine that and don’t ever start thyroid replacement therapy on a TSH test alone. I did, and boy did I have an adverse reaction with my first low dose pill.Turns out I have subclinical hypothyroidism…meaning my TSH are elevated but my T4 and T3 are fine and I have no symptoms. So no meds for me. In short, if you have no symptoms, no need to worry. For the mind to relax it must slow down (ie reduced nerve impulses) and may even become still. Just being. This is a simpler state of mind in which anxiety is reduced or cannot exist. Anxiety involves more complicated mental functions including an ability to know present and future. In this simpler state bodily perceptions alter. Limbs may feel heavy or light, The person may feel bigger. Sensation in the hands and face due sensory innervation tends to be increased. spontaneous activity in the optical centres may give rise to coloured lights. However, any thing more than a transient awareness of these things involves sensation and prevent the mental stillness mentioned above. Day dreaming, spontaneous reveries, “highway hypnosis” are all situations where this stillness occurrs and the mind has shifted to this simpler state. Dowsing (the cold water) thing gears up the parasympothetic nervous system ie changes the tone between sympathetic -parasympathetic and thus has an additive effect with the relaxation just discussed. Dowsing and some other practices also involve a letting yourself rather than a tense up and endure approach and this encourages relaxation. It also facilitates learning to experience pain in its pure form or pain without hurt. What I speak of is the melding of mysticism with mental homeostasis which Dr Ainslie Meares down under in Australia developed many years ago. 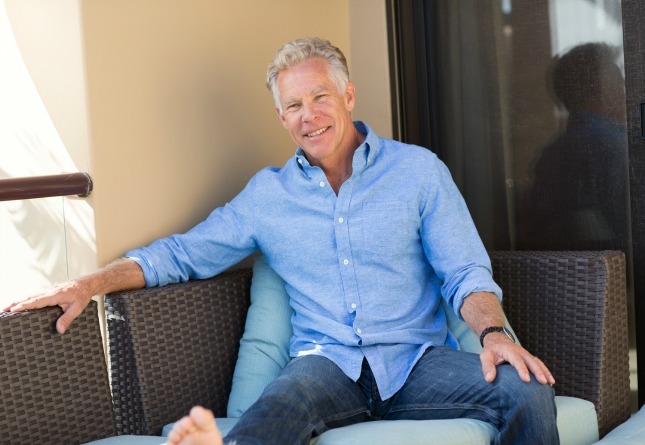 I only mention him as I believe the practice of his relaxing meditation – which is really learning mental homeostasis is beneficial and dovetails in perfectly with the primal blueprint. Wim Hof’s method seems to have some common factors. Dr Meares helped many people to heal themselves or at least substantially reduce the severity of various diseases and to enhance their ability to manage pain. Although these days science recognises that their is a psychological contribution to cancer back in the 1970s this was not the case. Dr Meares published several cases studies and a case series of about 100 cancer patients who benefited from his method. With a better diet and a better level\quality of physical activity humans experience improvements. If the mental homeostatic (anxiety reducing) mechanism works better then improvements will also be experienced. You could call this the placebo effect.. I’d refer to it as the atavistic regression theory of mental homeostasis as published by Dr Meares in the early 1960’s in the Lancet and elsewhere/ Some of the work on cancer was also published in the Lancet.. It would seem that Mr. Hof is using the principle of autophagy to the extreme to make himself mentally and physically stronger. In addition, there is definitely a mind-body connection IMHO, perhaps it is romanticized to a certain extent but I see no reason theoretically why the mind cannot be trained to aid the body to be healthier via a conscious effort as opposed to just by autonomic functions. Fascinating stuff. This stuff has been going on in India for thousadns of years. One meditator in the 60’s went to the famous Menninger Institute in the Midwest for a test and was melting ice about 20 feet all around his body. This guy sounds like he has tapped in to the source. Cool! Or in his case….cold! I believe Hoff studied yogic breathing techniques, and teaches them as part of his trainings. One of the reasons I love MDA so much is that I am always learning something new. Totally fascinated by Wim Hof. I believe the mind has so much power, and that we are all capable of extraordinary things if we drop our limiting beliefs. Thanks for the blog on hyperthyroidism Mark. The problem I have is that my symptoms are hypo and my bloods are hyper. The doctors say I have sub-clinical hyperthyroidism . I think something else is going on as I am lethargic and I have a low basal temperature (36.1 C). I do all the recommended things but I’m thinking that I will have to give up the seaweed. This is actually quite common. You can have syptoms of both if you have Hashimotos. The autoimmune process destroys the thyroid and this acute destruction releases T3/T4. If you have no acute autoimmune reaction, on the other hand, the thyroid is probably already run down quite a bit and does not produce enough T3/T4 on a continuos basis. One thing Mark forgot in his article is L-Carnitine supplementation. It counteracts many of the symptoms. You can find the relevant studies via Pubmed. Thanks Tadas. I’l look into L-Carnitine. Platypus, I am also sub-clinical hyperthyroid. My TSH is extremely low and my T3 is “normal” but a little on the high side – so nothing that is medically treatable. My endo doc stated that Graves disease means the thyroid receptors aren’t working properly – which would explain your symptoms. Your body makes extra thyroid hormones but can’t use it properly so you probably feel hypothyroid. I believe Chris Kresser has written some about hyperthyroid and the use of low dose naltrexone (sp.? ), which is a treatment I don’t think most doctors know about – might be worth looking into/reading up on if your symptoms are bad. Thanks Joanna. I see the enodo doc soon and I’ll look up Cris Kresser’s work. I have heard about Wim before but I did not take him that seriously. Now this placebo effect explanation makes a lot of sense now. Cath, I’m happy for your incredible success. It never ceases to amaze me the conditions and circumstances people can overcome through simple Primal changes and the right support. I’d love to feature your success story when you’re ready to share it. Thanks for commenting today. Kessler is a quack/scam – Elaine is a quack/scam. Primal diet helps mitigate the symptoms – everything else about the disease progresses – robs the body of bone density and can have deadly impact on the heart, etc. Please take a moment to consider that real diseases require more than diet and attitude. Is it not enough that diet improves mood – must bloggers always pretend it is magic? My partner is obsessed Wim Hoff. He pre-ordered his book and got the Italian edition moments after it came off the press. He’s practicing: breath stuff, cold showers. He’s hoping it’s going to solve the cold-hands-and-feet problem that set in after losing weight on Paleo. I’m watching, curious, but not so interested in cold showers. Hoff is amazing, completely fascinating. I have experienced the hunter’s response. It seems to be triggered by Adrenalin. Why not extend it to the whole body. Makes sense to me. In college, it was not unusual, on a boarding winter night, to jump naked into a snow bank, see who could last in it the longest. Well, a sauna was near by. But here again, for me the Adrenalin seemed to kick in, and the sauna seemed almost prickle hot. I developed hyperthyroidism 4 years ago, it was after the medication stabilised my t4 levels that my metabolism normalised and I put on a large amount of weight. Nothing I seemed to do could shift it until I was introduced to MDA by my brother. I fully attribute not only my weight loss but my now normal thyroid to my primal diet. I have not needed any medication in 3 years. I have seen lots about hypothyroidism on this site so really good to see hyperthyroidism mentioned. Hello Mark, I got a bit confused over your usage of the word placebo and so, to be sure, looked up the definition. Turns out you’re actually trying to say that Wim Hoff might not have been fighting the decease that was injected but, merely control the reaction to it. If that were the case however, there would be quite a severe knockback off all the harsh things he put his body through. Or are you implying the body can just somehow “hold on” to all those punishing conditions and just explode in sickness years later? Perhaps age a lot quicker and eventually die sooner? Very interesting link with coeliac disease and hyperthyroidism. My daughter is awaiting blood tests for possible hyperthyroidism atm. She does eat loads of cruciferous veg, though! I live in the Hetherlands where Wim hof has had a lot of publicity. I’ve just started his 10 week programme and have already noticed an improvement in my energy levels and concentration. Remarkable. Continue moving us. Live a Little Longer has much obliged on your sweat! Is there a counterpart to the benefits of sauna (Heat Shock Proteins and FOXO3 gene activation)? Sorry for rambling on here and I just saw Wim Hof live at a Tony Robbin’s UPW event! I found him extremely intriguing but I do not have enough information to give valid feedback. I did LOVE the breathing exercise he had us do, kind of strange, but beneficial. I was able to hold my breath for 2 minutes!!! In a certain way it’s seems like you are subtlety attempting to discredit Wim Hof. You skip over the mechanistic aspects, such as his breathing and holding techniques that lead to increased PH at the cellular level, and simply chalk his success up to placebo. It would be great if you did a longer post better exploring these things. about hyperthyroism check out dr. John Bergman. Also read the book Hidden Therapies from Jerzy Zieba. I had hypertheroism, the regular doctors advised me to let the thyroid remove. Ik take suppelments like vit D3 and K2.. Took extra iodine but realy carefully, changed my diet to an organic vegan one and do Wim Hof breathing and cold showers, kundalinii yoga and chi gong.. All the symptoms of hyperthyroism are gone now.